When the world’s largest and most profitable energy companies want to know the future price of oil, they contact risk management expert, Robert Boslego. Boslego is one of the most-trusted and well-respected names in the energies community. More than just a go-to consultant, Boslego has developed and refined an impressive trading strategy that consistently outperforms the energy sector. 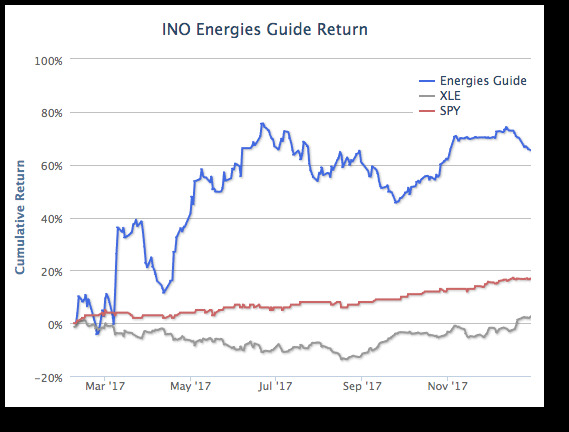 Learn more about INO Energies Guide and how you can follow Boslego’s model portfolio which was up 65% in 2017 alone.